Back when I was newer to crafting a wise knitter (it was Joelle!) told me that if you can knit a pair of mittens you can knit anything. Even though mittens are small they require many different skills so their lessons are easy to blow up on a bigger scale. Now that I’m little wiser myself I’ve found that, much like playing scales on the piano or running drills in basketball, there are certain fundamental craft projects that set you up for wider success! 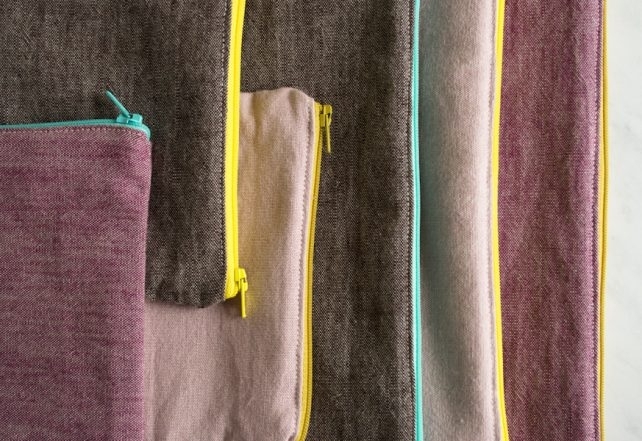 These zipper pouches are just such a fundamental project: a simple pattern that serves to build confidence and competence. 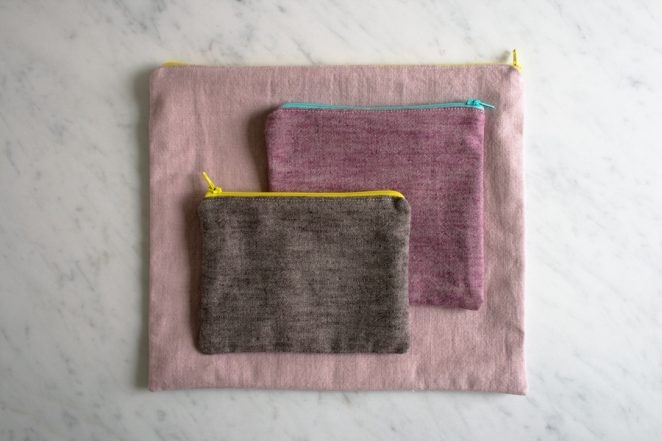 Plus the finished pouches are super useful and cute! They’re a perfect project for a new sewist who wants to start working with zippers and edgestitching or for any more experienced sewists out there who might suffer from zipper anxiety! 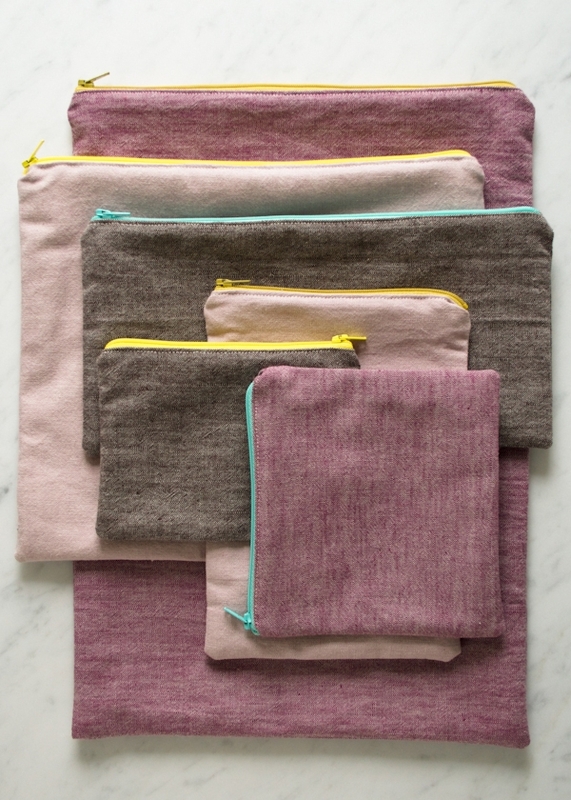 Outer Fabrics: Three ½-yard pieces of Kiyohara’s Upholstery Weight Solids in Pink, Violet, and Brown. 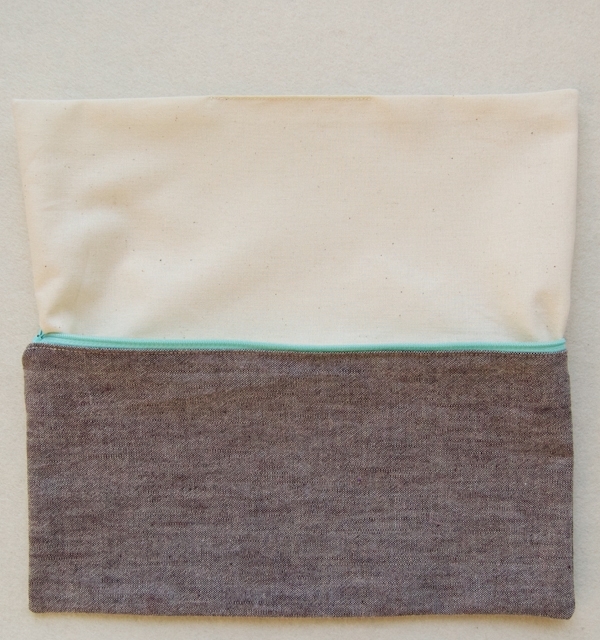 Lining Fabric: 1 yard of Moda’s Muslin in Natural. 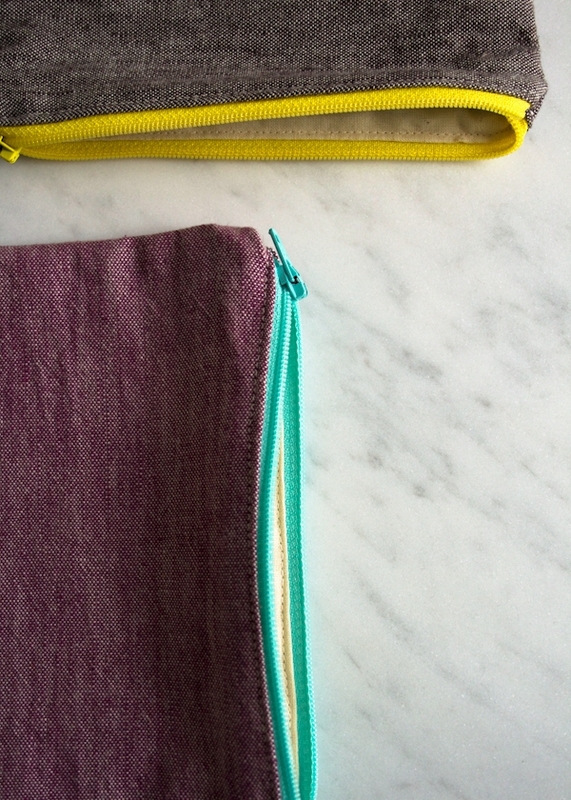 Three 7-inch Nylon Coil Zippers in Yellow, Goldenrod, and Aqua. Three 12-inch Nylon Coil Zippers in Yellow, Goldenrod, and Aqua. A small spool of Gutermann’s Cotton Thread in color 1040. 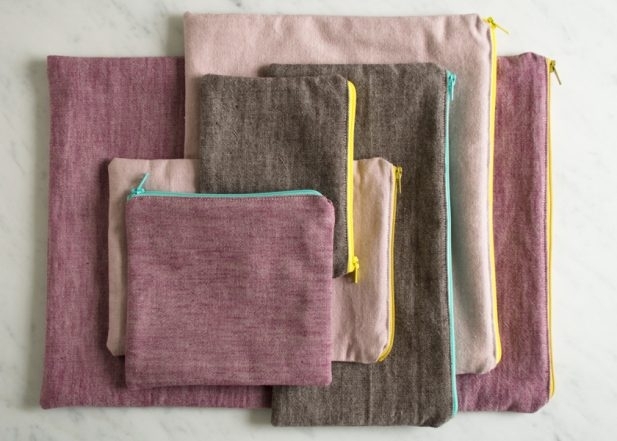 This pattern explains how to make your own customized pouch, but if you’d like to make the same sizes we did, our finished sizes (width x height, shown from top to bottom) are 11 ½ inches X 16 inches, 11 ½ inches X 10 inches, 11 ½ inches X 6 inches, 9 inches X 6 ½ inches, 6 ½ inches X 5 inches, and 6 ½ inches X 6 ½ inches. Before you start cutting, decide how long you’d like your pouch to be. Add ¾ inch to your desired finished length; this is your Length Cutting Measurement (LCM). 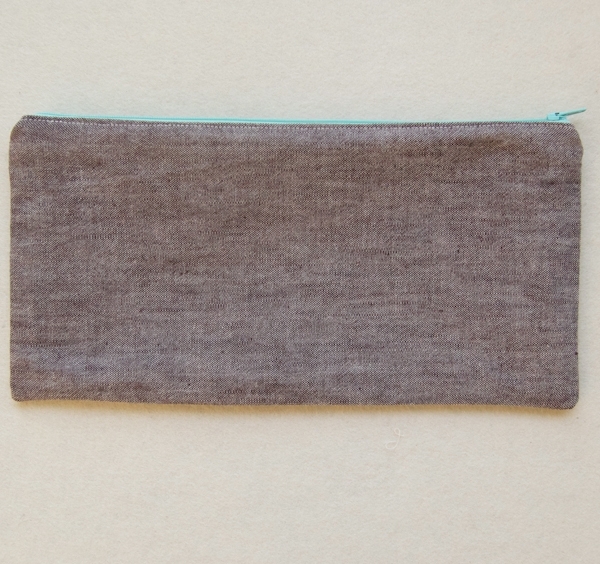 The pouch shown here has a finished length of 6 inches, so its LCM is 6 ¾ inches. 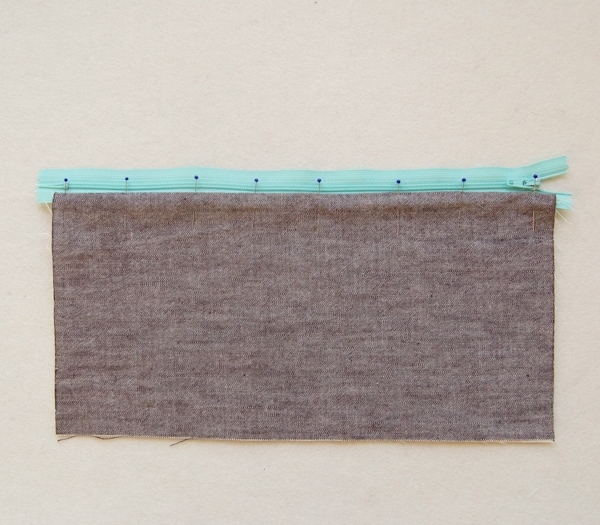 To get your Width Cutting Measurement (WCM) add ½ inch to the length of the zipper you are using. 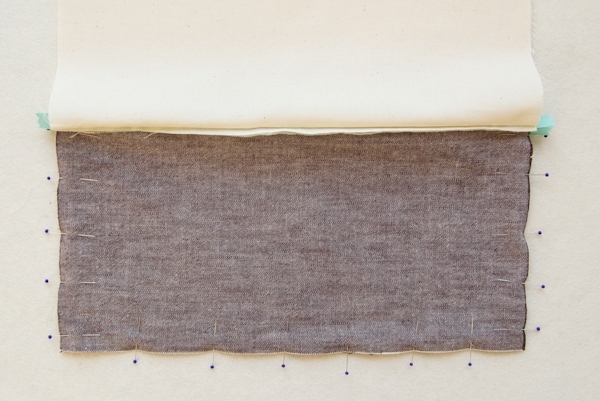 This example uses a 12-inch zipper, so its WCM is 12 ½ inches. From the Outer Fabric cut two pieces WCM wide by LCM tall. From the Lining Fabric cut two pieces WCM wide by LCM tall. Place one of the Outer Fabric pieces right side up so that the WCM sides are horizontal and the LCM sides are vertical. Unzip the zipper so that the pull is in the middle and lay the zipper wrong side up along the top horizontal side. 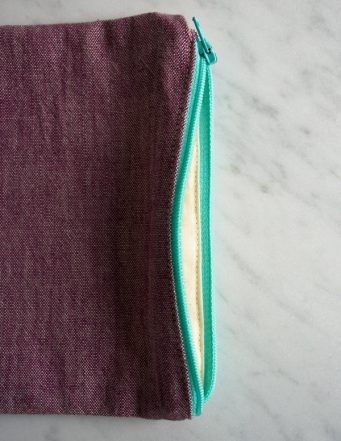 Align the top edge of the zipper with the top edge of the fabric. Center the zipper so that its metal ends are ¼ inch from each vertical side. Place one of the Lining Fabric pieces on top, wrong side up. Pin all three layers together, being careful to keep the zipper centered and straight as you pin. 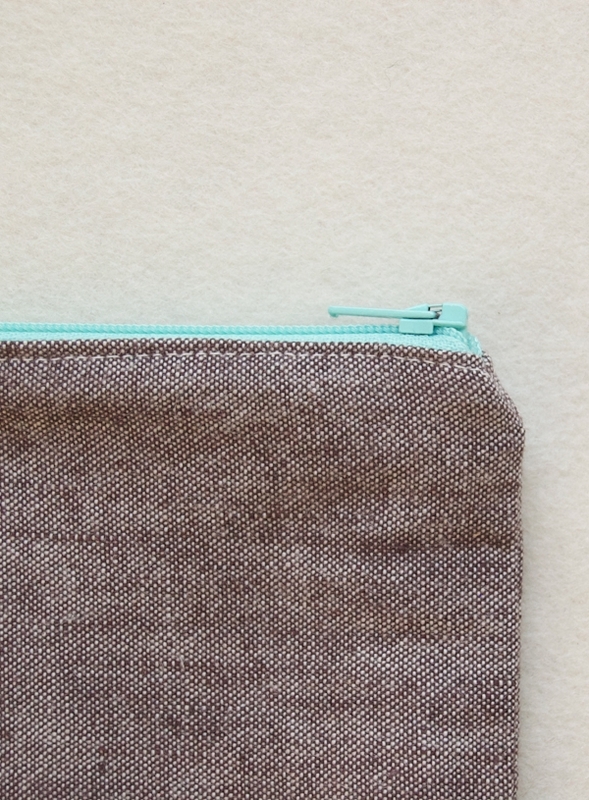 When you get to the zipper pull, zip it over to a section that has already been pinned, so that the fabric of the zipper stays straight and flat. 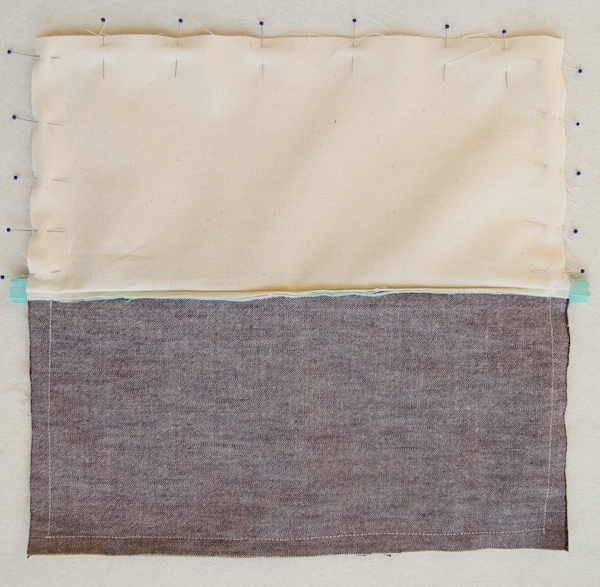 Using your machine’s zipper foot, sew along the pinned edge with a ¼-inch seam allowance being careful not to sew into the teeth of the zipper. When you reach the zipper pull, leave the needle down and pick up the machine’s foot, then slide the zipper pull to a section that you have already sewn so it doesn’t get in the way as you finish the seam. Turn both pieces wrong sides together so that the zipper teeth are right above the fold. Press and pin the fabrics together along the edge of the zipper’s teeth. Using your machine’s zipper foot, edgestitch along the fold, starting and stopping at the zipper’s metal ends. Repeat for the other side of the zipper using the two remaining pieces of fabric. You will end up with two identical sides with a zipper in the middle. First, slide the zipper pull to the middle to get it out of the way. 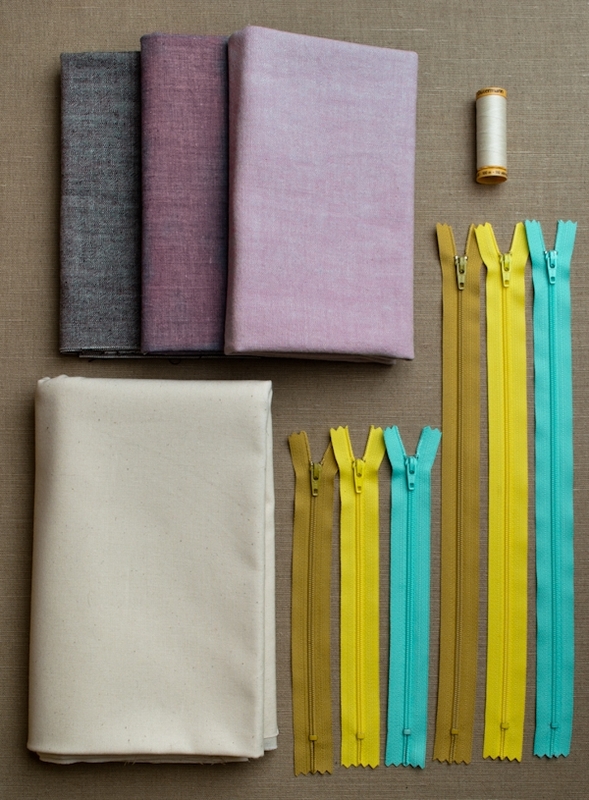 Pull the two Lining Fabrics up and out of the way and bring the right sides of the Outer Fabric pieces together. 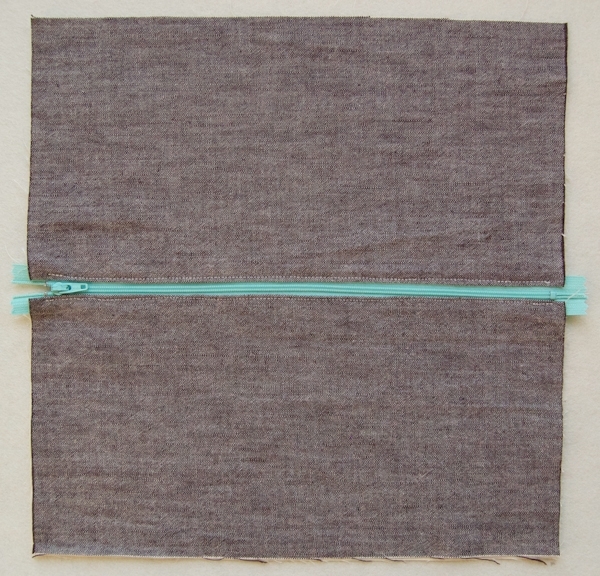 Pin the two Outer Fabric pieces together along all three raw edges. Make sure the zipper is folded in such a way that you can pin its two fabric edges together with the teeth of the zipper pointing up and away from the Outer Fabric pieces. Now pin the Lining Fabric pieces right sides together, leaving the zipper in the same orientation with the teeth pointed up and away from the Outer Fabric pieces. 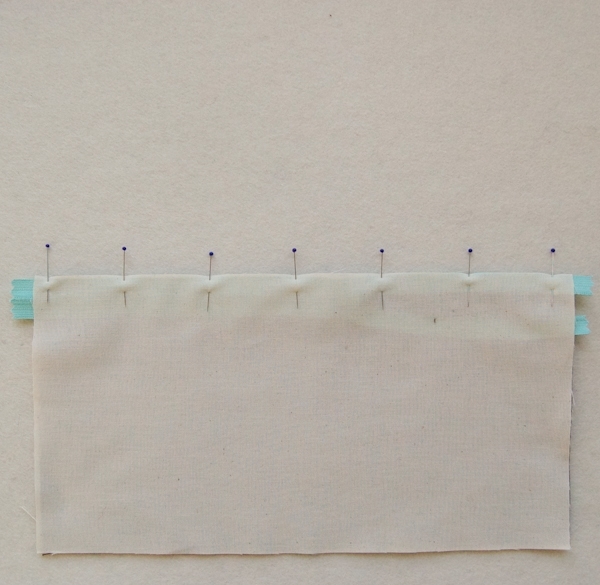 Sew the pinned sides together with a 1/2-inch seam allowance, leaving a 3-inch gap in the middle of the horizontal side. On the vertical sides, sew only until you reach the teeth of the zipper. Trim off the seam allowances at the corners of both the Outer and Lining pieces and then turn the whole thing right side out through the gap in the horizontal side of the Lining Fabric. Keep the lining section pulled out of the outer section and press both sections flat. Pin the gap closed, tucking the seam allowance inside the lining. 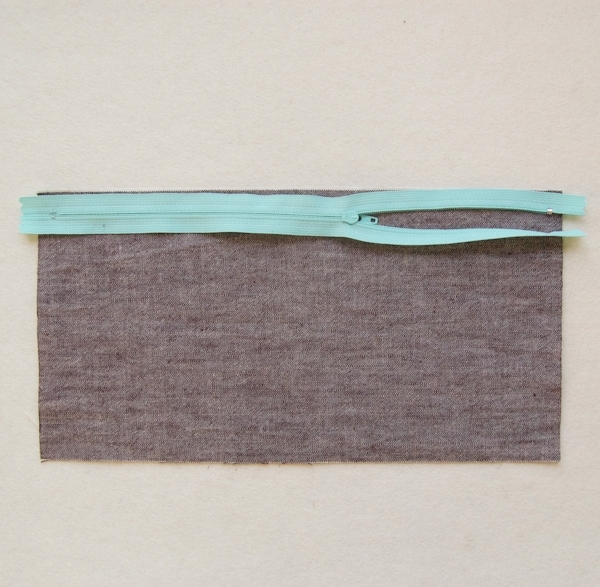 Stuff the lining section inside of the outer section and press the whole pouch flat. 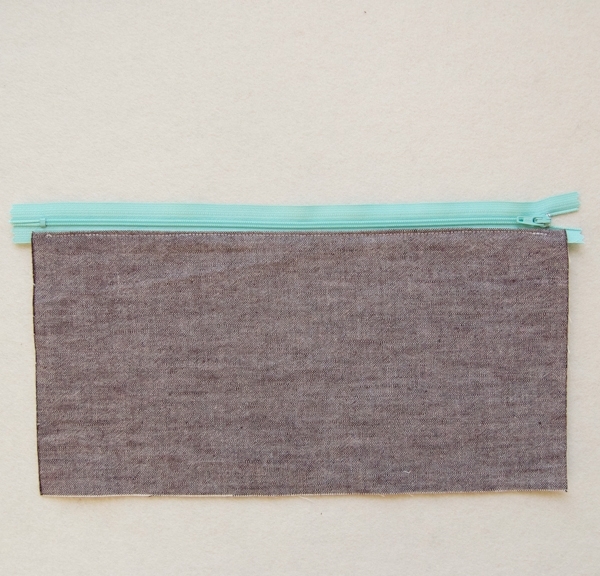 The outer corners of the zipper sides will tuck in to create a tidy angle, as shown above. 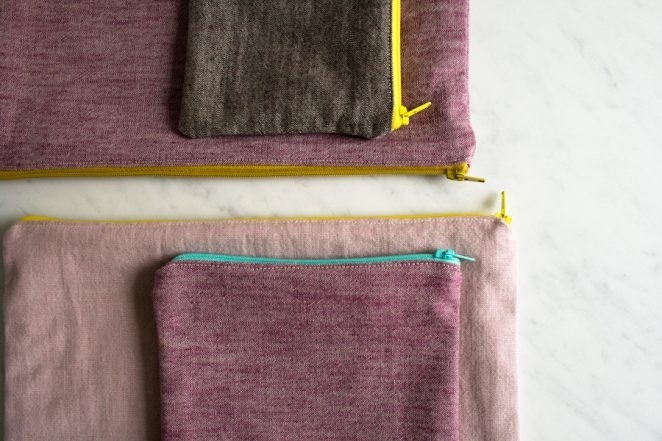 These look great in upholstery weight and I love the color of the zips used. A printed lining–Liberty or similar–would also make a good lining. As would gingham and stripes. So happy to have some SEWING projects!!!! Keep them coming. I have made these before and lined then with iron on plastic. It makes a nice make up bag that you can wipe clean. 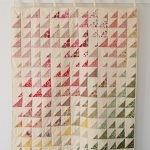 Thank you so much, Purl Bee, for this fantastic project. Zips are indeed quite intimidating but thanks to your crystal clear explanations, I am sure even a beginner like me will be able to pull this one off…! PS I am a regular visitor of your site and in absolute AWE of both the quality of your work and tasteful choice of fabric/materials.Thank you so much for sharing all your wonderful ideas with the rest of the world! 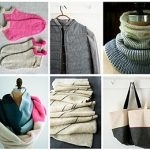 Wonderful presents for loved ones!!! Thank you, thank you for this wonderfully clear explanation of how to make these simple bags. Thank you as well for posting it instead of including the instructions as part of the kit so that readers can make their own fabric choices. After I make some for my knitting needles, I think I'll try some with a wipeable lining for the kids snacks and lunches. We don't allow for our posts and patterns to be reposted elsewhere but if you'd like to feature it you are welcome to use a photo or two and link directly back here for the pattern and instructions. Please contact me at molly AT purlsoho DOT com if you have any more questions. If i may, i have a tip, attach a rubbon with one or more beads in the zipper hole to give a nice finishing touch. That is what i do using my daughter colored wood beads and it makes also zipper more easy to open/close . 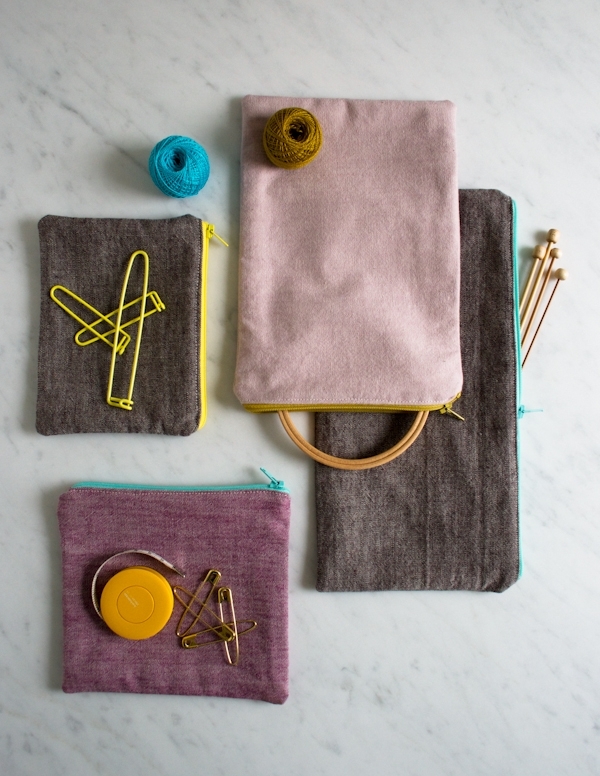 Lovely, simple tutorial, I've already got it memorised and made myself a new purse with some thrifted wool fabric! I'm planning on making up a bunch of these for stocking fillers for Christmas, thank you Purl Bee! Awesome! … made one with booboos but thats ok … next one will be better … smiles and thank you! Unfortunately our new site doesn’t have a Print button. We are working on making the patterns more printer friendly but in the meantime we recommend copying and pasting the pattern into a Word or Text doc and printing from there. I’m sorry this is a bit of a hassle! Thanks so much for getting in touch! BEAUTIFUL TUTORIAL!! I’m an experienced seamstress and STILL enjoyed the clear pictures, demonstrating the steps, with the succinct wording used. Thank you…I know this takes a lot of clear thinking and time. Shouldn’t we add 1 inch to the WCM and not half? If we’re sewing 2 seams with a SA of 1/2 inch? I understand your logic but in this case, while you will be sewing 1/2-inch seams up the sides, you want the seams to be 1/4 deeper than the length of the zipper, to hide the zipper’s ends. 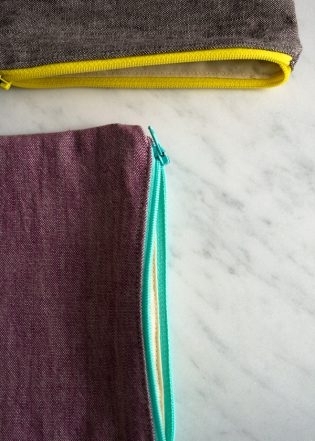 This is by far the best zipper pouch tutorial I’ve found. Thank you so much! My daughter made 10 of these for Christmas presents. They turned out great! She is not an experienced sewer; the pattern is easy to follow. 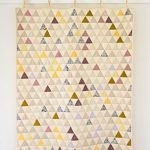 Thanks so much for posting this pattern. Thanks for my newest addiction. I’ve already made 2 of these and the 3rd has been cut out. 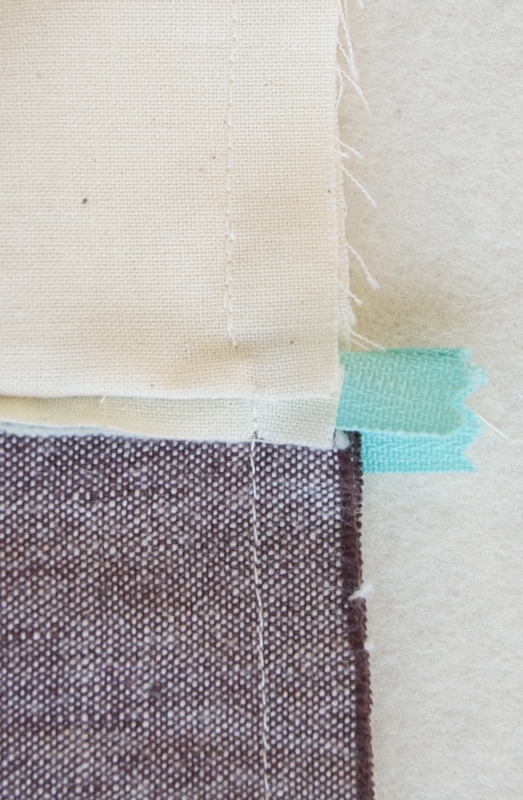 Having so much fun using up my fabric stash – now I’m going to need to go get a new fabric stash….. Thank you so much for these wonderful ideas! I am about to order the Kiyohara fabric to make several of these, but I wanted to check if it will work ok without the lining? 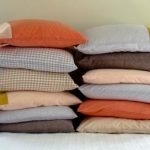 Or would you recommend using a heavier/different fabric instead that wouldn’t need a lining? I also wanted to make sure it wouldn’t alter the pattern in any fundamental way – I am thinking it will just make it easier, but wanted to make sure I didn’t overlook anything essential without the lining. These should be OK without lining but you should zig zag stitch the seams on the inside so they don’t fray. Please let us know if you have any more questions and thanks for getting in touch! I just wanted to thank you for the great pictures showing the steps. I was making a purse from another ‘tutorial’ and was getting very frustrated because she didn’t explain how to orient the zipper when sewing up the sides. So glad I found this! 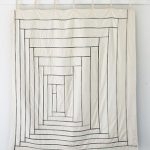 I have been sewing and quilting for years, but it is overwhelming for me to think of sewing with zippers. About six months ago, I even bought zippers off Amazon because I need little pouches to organize all my two year old’s craft supplies. I haven’t been brave enough to try them out yet. These are perfect, and this is the perfect little tutorial. Thanks so much for putting this post together. This was the first time I’ve ever sewn a zipper onto anything! I didn’t have a zipper foot, so my zipper turned out a little uneven, but still I’m feeling so accomplished! Thank you for a great tutorial!! Thank you for your detailed instructions that even I can understand. I made 3 of these for myself and on the 4th one, I wanted to add a divider. The divider came out wavy and wouldn’t stand up well. I don’t know if I made it too long or perhaps it needed to be anchored on each side. Any feedback or recommendations are appreciated. Thank you. I’m not sure what you mean by a divider? How did you go about sewing it? Please let us know! I added a piece onto one side of the liner to make the liner divided into 2. I thought I could have credit / debit cards on one side and cash on the other. But the divider piece is very wiggly in the middle and doesn’t look nice at all. Almost like it is too big and it flops over to one side. 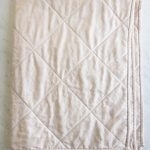 Although it is not too big, I made sure it was nice and flat when i sewed the 2 sides of the divider to the lining piece. Also, in one instance I tried to “tack” down the sides of the liner (where the divider met the sides) to the outside of the pouch. This was even worse as it pulled the sides in and the outside looked dimpled. Please help. 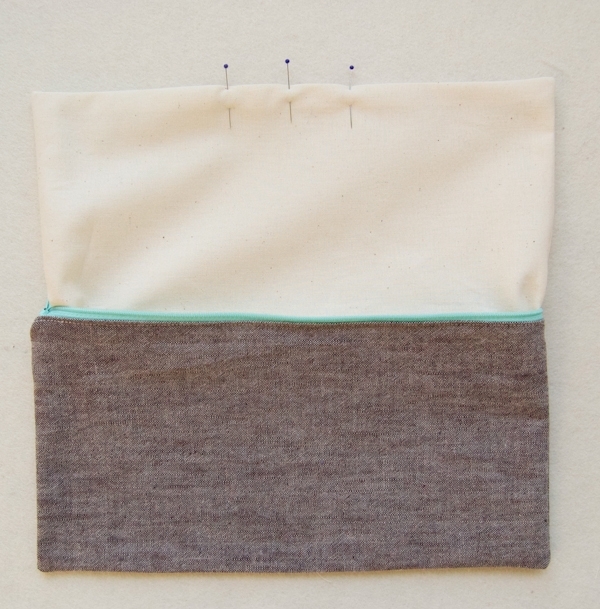 I would sew on a pocket to one side of the lining before you sew the lining into the pattern. I don’t know if it needs to be a divider is you just need to fit credit cards inside. I hope this helps! I was able to make it work with the divider on a few occasions, but I need to work on it a bit more. I tried a fusible stabilizer on the divider to alleviate the waviness of the divider. My most successful attempt was with a simple stabilizer (I tried a stiffer one, and it was not good) and making the lining just a bit smaller so that the divider could fit from one end of the inside to the other. With more practice, I will be able to master this. I will be making sets for Christmas gifts. Hi – do you still offer this kit? The link doesn’t work anymore. Thank you again for your sharp eyes! This was my first time using a zipper. I have been avoiding them! I did a decent job, but one major problem, and perhaps you can let me know where I went wrong. When the pouch was completely finished and turned right side out; one of the corners tucks into a nice angle, but the other corner not at all! I hand stitched it the best I could to tuck away the ends of the zipper, but none of it got sewn in. Any ideas where I went wrong? PS. You have a wonderful website, beautiful taste, and ability to be impeccable with your word, Thankyou! Thanks for writing in! I am so glad that you conquered zippers! They can be a bit intimidating until you have tried them! One side of the zipper (the end with the zipper stop) will be a bit more tucked in than the other side. If you did not catch the other end at all, it may be that the ends snuck out while you were sewing. It has happened to the best of us! Is it normal to have puckering on the inside lining where the zipper is sewn together. I did line up the zipper perfectly and pointed it towards the lining. Thanks for writing in! A little bit of puckering can certainly happen at the zipper with the most careful of sewists! If the puckering is more than a little, it might help to use more pins when pinning the fabric together. Once you smooth the fabric out and place it on either side of the zipper, you can use a good number of pins to keep it in place which can help to prevent it from puckering! 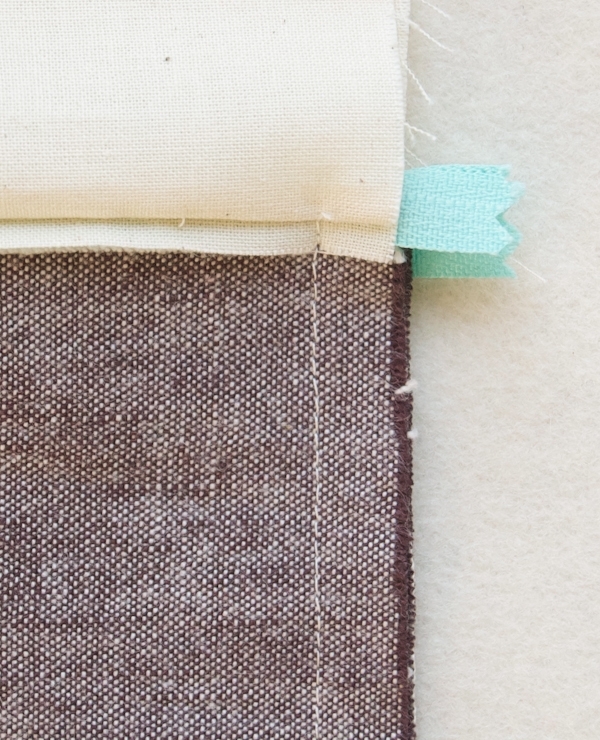 Can you clarify “length of the zipper.” You say to add 1/2 inch to the length of the zipper to get the width of the fabric, but in the picture the ends of the zipper fabric hang over the edges of the fabric, so clearly the fabric is not 1/2″ wider. Do you measure the zipper from stop to the zipper thingy when closed? I’m guessing yes but I didn’t see it in the instructions. Thanks for the great explanation, especially around aligning the zipper teeth when sewing the sides. Crystal clear. Thanks for reaching out! I am happy to help! The length of the zipper refers to the length of the zipper portion of the zipper or the full length that the zipper will open and close. There will always be an extra half inch to inch on each end of a commercially made zipper. Therefore a 7 inch zipper will measure 8-9 inches withe the length of the zipper portion being 7 inches. 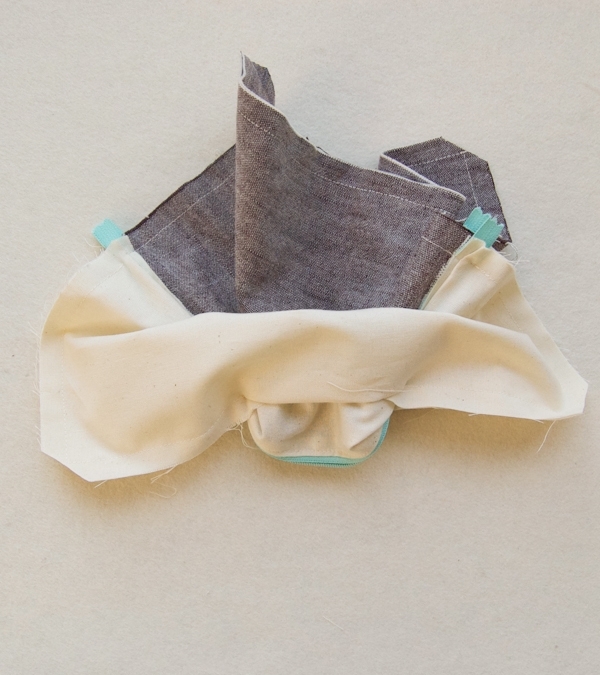 This extra bit gives you room to play with and fabric to sew onto!